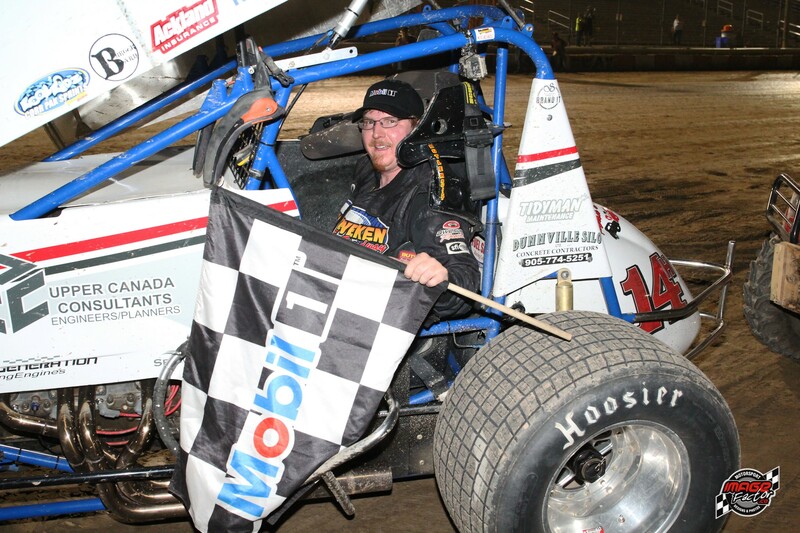 Jim “The Red Rocket” Huppunen; a Fenwick, Ontario native, has been heavily involved in racing his entire life, from go-karts as a child to crew-chief as a teenager. However, 2008 was the year that forever changed his racing plans. In 2008, Jim bought his first sprint car, and began racing at Ohsweken Speedway. With half a dozen drivers competing for the rookie of the year in 2009, Jim would come up just a few points short of securing the honours. In 2010, Jim made the decision to continue racing weekly at Ohsweken Speedway hoping to improve upon 2009’s rookie success. The 2010 season saw a tight point battle between 4th through 7th and he was able to hold on to 7th place and only finish 17 points out of 4th. 2011 started with a strong run on opening night to end up with a top 5 finish. The year would only continue to get better as Jim was able to win his first sprint car race. With the first win out of the way and sitting 2nd in points, he was able to accomplish a repeat victory the following week. The rest of the season would continue to be strong and the hold on the championship would never be relinquished. Jim would win the championship in only his 3rd year in sprint car racing. Also earning himself the Hard Charger Award for passing the most cars throughout the year! The 2012 season at Ohsweken was not as successful as the 2011 season but the outcome was still quite positive by finishing with a 6th place overall finish in the Championship standings. As well as earning the Hard Charger Award for passing the most cars for the second year in a row! 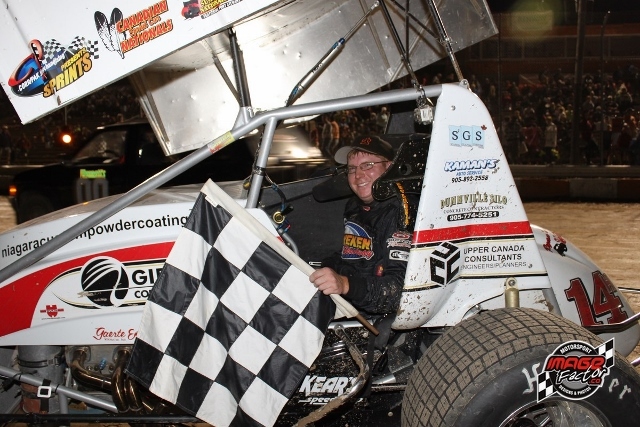 The 2012 season ended on a high note by qualifying 9th out of 76 cars in The Canadian Sprint Car Nationals. A strong run in the 35 lap Canadian Sprint Car Nationals Championship Race ended with a hard fought 3rd place finish. With the 2013 season at Ohsweken Speedway ended and another fantastic year of racing for Jim and Team 14h Racing. We took the lead early in the season and were unstoppable! Winning our second Ohsweken Corr/Pak Merchandising Sprint Car Championship! 2014 was about consitency, ending another great season by finishing 3rd in the Corr/Pak Merchandising Sprint Car Championship and earning another Hard Charger Award for passing the most cars again that year! 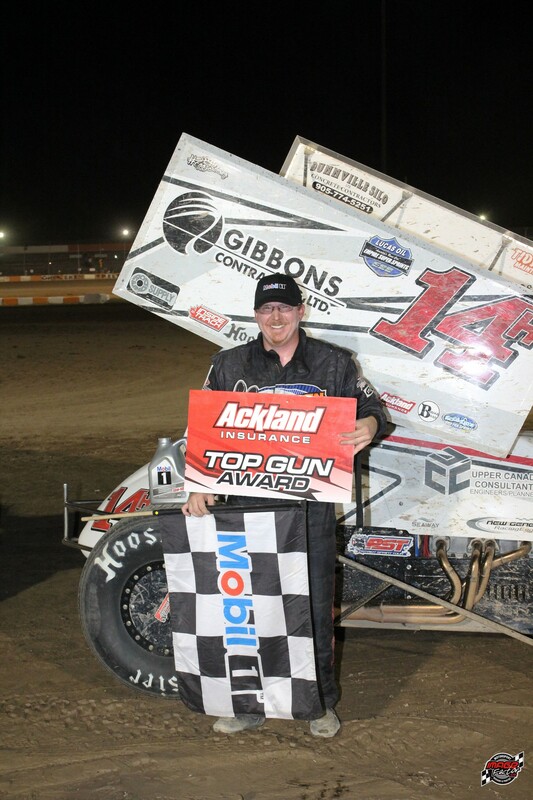 Taking some time to travel in 2015 the team went to Knoxville Iowa for the 360 Sprint Car Nationals, while this did leave the championship points secondary to our interests. Even with this we still finished with a solid 6th place in the Corr/Pak Merchandising Sprint Car Championship and yet again earning another Hard Charger Award for passing the most cars again that year! In 2016 Jim won a much anitcipated feature event in July of that year, and he would again take the team on the road this time to Eldora Speedway in Ohio, where he made the Main event! We finished our season off again with a consistent 6th place finish in the Kool Kidz-Corr/Pak Merchandising Sprint Car Championship. In 2017 Jim had a very successful season with a feature win in June of 2017, 2 Top Gun Awards (most sprint cars passed in the Heat Race). Rounding out the season with a nail bitting Championship point battle narrowly missing right up to the last night of racing for our 3rd Championship but finishing with a well-earned 2nd place in the point standings at Ohsweken Speedway!